Why would I need self storage in Azusa, CA? There are a variety of reasons why you might need self-storage in Azusa, CA. How much is a storage unit in Azusa, CA? The cheapest storage unit in Azusa, CA is $83.00 per month. What size storage units do you have available in Azusa, CA? In Azusa, CA we have sizes that range from 5'x5' to 10'x30' to suit your storage needs. How much is it for a 5'x5' storage unit in Azusa, CA? The cheapest 5'x5' storage unit in Azusa, CA is $83.00 per month. Located on the western edge of Los Angeles County and nestled just south of the San Gabriel Mountains, Azusa is conveniently close to both L.A. and Orange County. Whether it's for work or leisure, transportation is easy in the Azusa area, thanks to the nearby 210 freeway, State Route 39 and historic Route 66. Azusa prides itself on its family friendliness, cost-effective lifestyle and sustainable energy options, and its population has been growing steadily for the past several decades. The area that's now Azusa was first settled by Mexicans in the early 1840s, and the land passed into the hands of English settler Henry Dalton shortly thereafter. After the Mexican-American War, California was awarded to the United States government, which eventually elected to allow Dalton to maintain his claim on the Azusa area. Official city founder Jonathan Slauson took possession of the land in 1880, developing his official plans for the city in 1887. By 1898, Azusa had earned official incorporation. Azusa originally grew due to gold prospecting throughout the Azusa Valley as well as the completion of nearby railroads. Since its incorporation, the city has been steadily growing and evolving. Companies based in Azusa employ thousands of local professionals. The Azusa Unified School District is the largest employer, followed closely by Azusa Pacific University. Security company Northrop Grumman, Costco and Target are also major employers in the city. Given its location in Los Angeles County, it's no surprise that the greater Azusa metropolitan area has a thriving economy. The area's largest industries include trade and transportation, professional and business services, government, education and health services. Azusa's fastest growing industries are construction, leisure and hospitality, and professional and business services. Azusa Unified School District manages the public schools, including elementary, middle and high schools. The district also has an alternative education center, a continuation school and an adult school. There's one major private school, served by St. Francis of Rome Catholic Church. Private universities in Azusa include Azusa Pacific University and Dhammakaya Open University, both faith-based schools. Utilities: Azusa Light and Water is the city's central utilities provider and manages both electricity and water. Garbage and Recycling: The city facilitates curbside collection of trash and recyclables. You can also participate in one of the many special waste disposal programs and events, including bulky-item disposal, community yard sales, compost education and tire recycling. 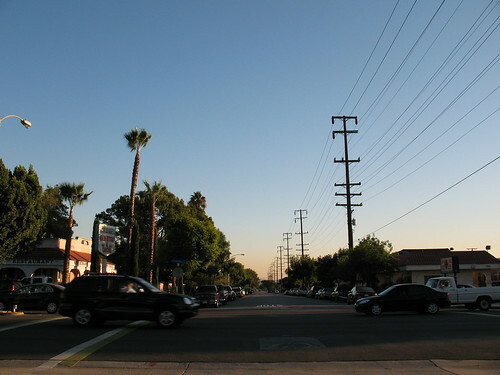 Transportation: Light rail, shuttle and bus are the main public transit options in Azusa. The median home and rent prices in Azusa are less expensive than in many other California cities but still fairly high when compared to the national averages. However, a variety of housing options, including single-family homes and apartments, mean you'll be able to find something to fit your needs and budget. Our lowest priced units in Azusa, CA average $83.00 per month. 129 people have reserved units in Azusa, CA in the past 30 days. There is 1 location within Azusa, CA's city limits. There is 1 location in Azusa, CA that offers AC and Heating features.